For the last dozen years, Freemasons For Dummies has remained the world's best-selling introductory guidebook to the Masonic fraternity. Wiley Publishing has a unique program that may be of interest to your Grand Lodge. They are able to print a special edition of Freemasons For Dummies with your Grand Lodge information in it, featuring a customized cover, along with custom information on the inside covers. This makes the perfect welcome gift for new members. In fact, in 2011 the Grand Lodge of New Mexico and their Lodge of Research created their own customized edition of the book that was given to all of their Entered Apprentices. What this means is that your Grand Lodge or research lodge can have its own special edition of the book for your members, provided you are able to order in sufficient quantities. Your official seal or other artwork specific to your Grand Lodge could be featured on the outside, and a message from the Grand Master, Grand Lodge Education Committee, Lodge of Research, or other official group could be printed on the inside covers. 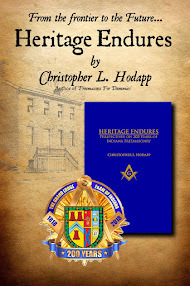 The book is also a popular one for non-Masons, and your members could be encouraged to pass it to friends or family who might have an interest in the fraternity—the cover could include the Grand Lodge contact information, internet address, phone numbers, etc. Of course, it's also popular as a gift given by many lodges to new Masons. The inside cover might include a custom plate in which to inscribe the members’ name and lodge, and degree dates. Both Wiley and I are willing to work with you on design, artwork and content. There is one caveat: No changes can be made to the text of the book itself, so if there is something in the book's current text that is NOT correct or applicable for your jurisdiction, that part can’t be changed. Only the inside and outside covers can be altered. 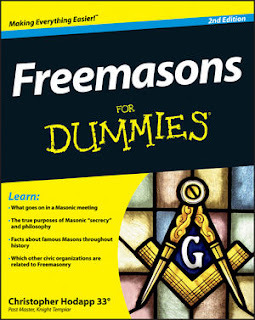 The retail price of Freemasons For Dummies is $19.99, but you can save between 45%-50% off the cover price, depending on the quantity being printed. The minimum order for a custom version is 1,000 books ($11 per copy or 45% off), with an additional price break at 2,000 copies ($10 per copy, 50% off). For their books on Freemasonry, I prefer "complementary" to "competing." The observant have been known to see a Dummy and an Idiot breaking bread around Indianapolis.